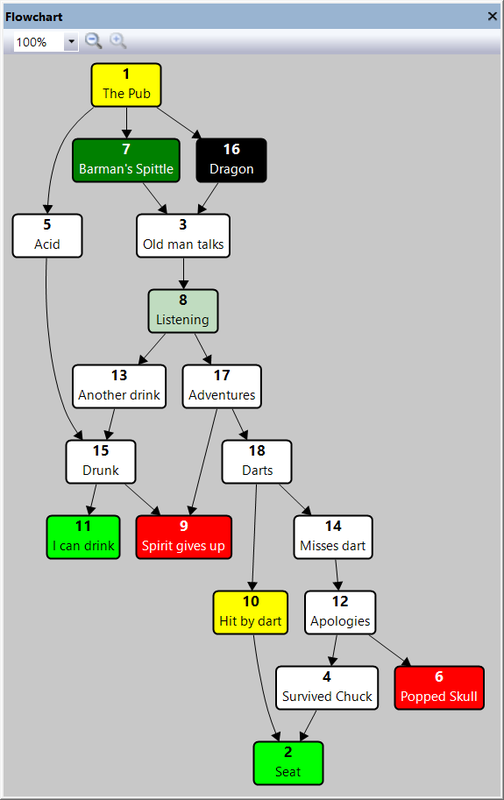 Today, Crumbly Head Games proudly announce the release of The Gamebook Authoring Tool version 1.10! This release has been focussed on big gamebooks. There have been a lot of changes under the hood, so you should see some real performance benefits when your gamebooks run into hundreds of sections. These now look much nicer and we’re able to pack them in more efficiently, which again is nice when you have loads of sections. 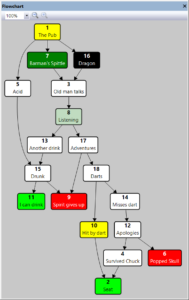 To aid you in your gamebook navigation, the outline and the flowchart panes have been hooked up together -selecting a section in the linear outline will show you where it is on the flowchart, and vice versa. You no longer “open up” a section node to get to the section text. 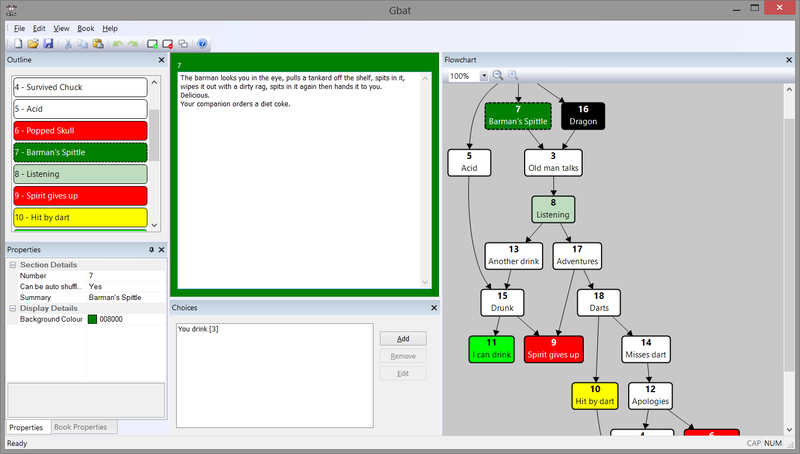 The main body of text is key to your book so it now lives in a separate area from the map, giving you the opportunity to have your book text and the flowchart on different monitors, for example. Everyone always asks about hyperlinks and why we don’t have them. The HTML output format now has them. Consuming your gamebook is now easier than before! For those of you who are developers and may be developing a gamebook engine there is a new output option – XML format. The details of this will be announced shortly but for now it is there if you want to pick it up and go. That’s the gist of it – hope that you enjoy this release and enjoy the many things that are to come! As always, you can leave your thoughts below or email us and we’ll add your ideas that fit. 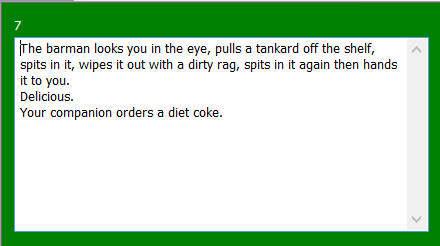 Let’s make this the best gamebook authoring tool ever. Download The GameBook Authoring Tool 1.10!